The Bhagavad Gita is an ancient Sanskrit text, taken from Canto 6, Chapters 25-42 of Mahabharat. The Bhagavad-Gita has 700 verses in 18 chapters. It is commonly referred to as the Gita. Krishna, the speaker of the Bhagavad Gita, is Bhagavan, the Supreme Being Himself. The Bhagavad Gita is the holy scripture of the Hinduism. Hindu philosophy and a guide to peaceful life and ever lasting world peace. 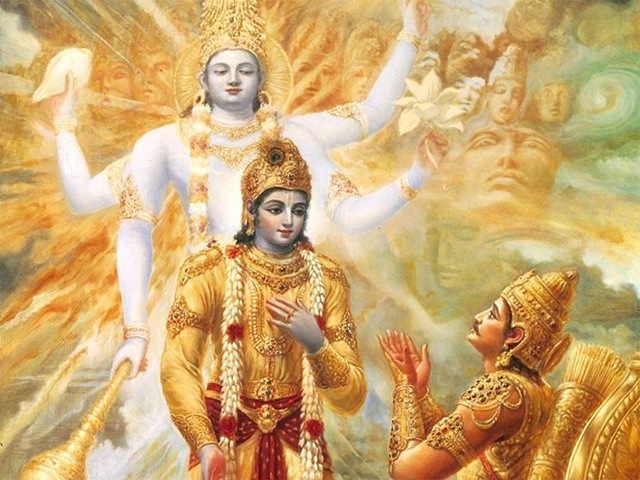 Here we present the complete Gita without commentaries for the beginners.